Grace Place is the St. Croix County Salvation Army Service Extension Unit, which provides emergency assistance to families and individuals facing acute and unforeseen financial crisis. Beginning in June 2017, YAH youth started attending Grace Place two times every month compared to previously attending once every other month. YAH youth visit on the second and last Thursday of each month and provide games/ activities for the residential children. 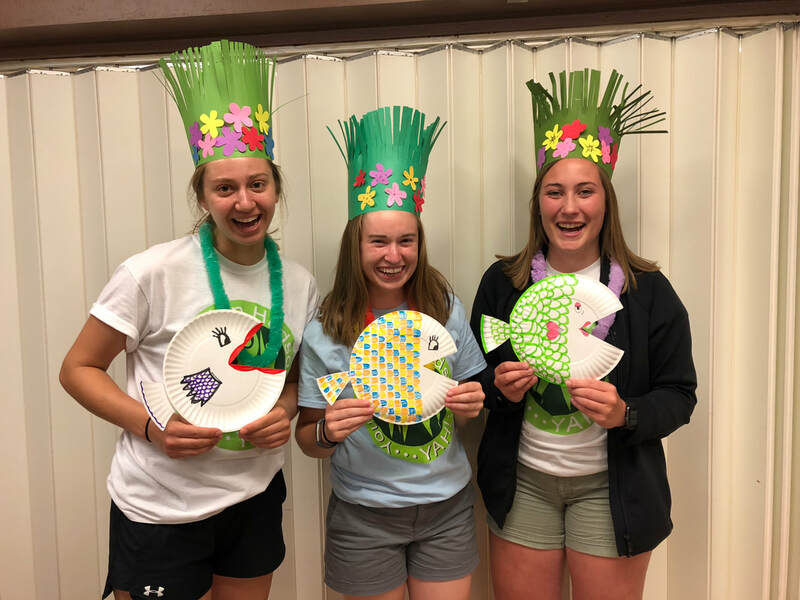 YAH youth recently raised funds to purchase outdoor games including a parachute, football, soccer ball, bubbles, jump ropes, ring toss, and chalk for the residential children. In addition to games and activities, YAH youth have begun assisting with homework during their visits! Youth Action Hudson received donated fabric from Ann Majerus, which was used at Grace Place to create Superhero costumes with a few of the residential children. What an awesome way to celebrate Halloween! Drawings by the residential children with the new chalk YAH youth provided! Youth Action Hudson youth painted pumpkins with the residential children at Grace Place on Thursday, October 12th. Thank you to County Market for the generous donation of 16 pumpkins!